I just caught up with my Twitter feed and I noticed that Kareem (i.e. @KAJ33 on Twitter) has been posting about personalizing messages and selling bobbleheads. Well, needless to say, since I'm a huge fan I had to check it out. I went to his website, http://www.kareemabduljabbar.com/ <-- **** Who can't figure that out? Seeing as that I skipped a day of medical school to head to MC Sports and to have him sign a hat for me, I couldn't pass up the chance to have some stuff delivered to me. The NBA's All-time Leading Scorer is one of the reasons I fell in the love with the Lakers and he should have this skyhook pose captured in a statue one day in LA. However, until that day, this image will have to sit on my shelf (i.e. once UPS delivers the goods). There are only 250 of these available. 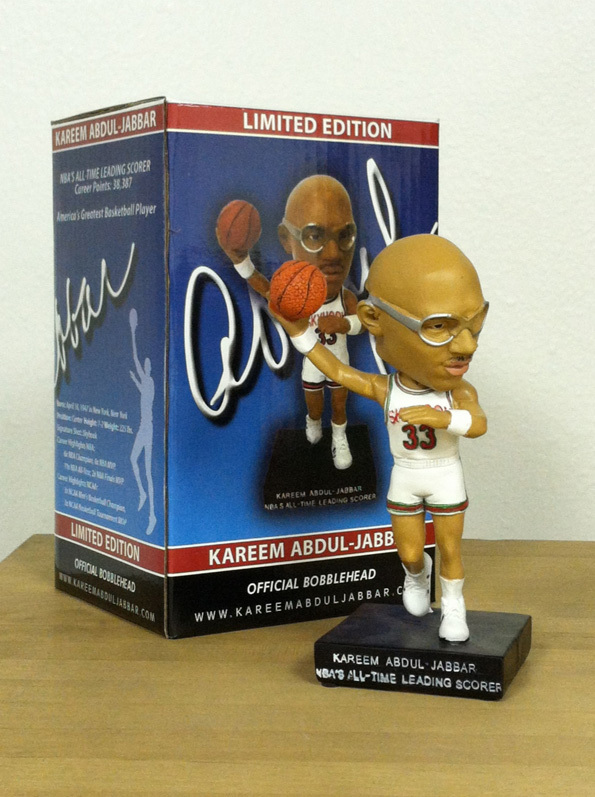 At only $39.95 plus delivery etc, this is a steal for Kareem fans everywhere, so get yours now!!! Here is the URL: http://store.kareemabduljabbar.com/skbo.html **** I already placed my order and received my confirmation, so I should be OK.
Woohoo! Looks like Christmas came early this year!!! I have the day off today, and it's raining, so I decided to check on my baby (i.e. this blog). I'm not sure what happened yesterday, but my blog stats went through the roof! Well, in an effort to not neglect you all and to stay focused on this endeavor, I took a quick look at ESPN.com and found a poll that struck a cord with me... I figured I'd get your thoughts. While I was surfing the net, I came across a Sports Nation poll asking whether college football and basketball players should receive a cut of their schools' TV revenue. Below is a picture of the current results. If you know me at all and/or have been following this blog, you know how much I appreciate money... Initially when I read this questions, I jumped to YES for my answer. I thought to myself, why shouldn't they get paid? The athletes contribute to the program and as stars of the team they draw ratings... However, I started to think the question through and realized that there are many other issues that need to be considered. 1. Not all colleges/universities have the following (i.e. storied history) to attract viewers, ratings, and TV numbers. Some school are simply too small and don't produce quality teams consistently enough to land the TV deals. 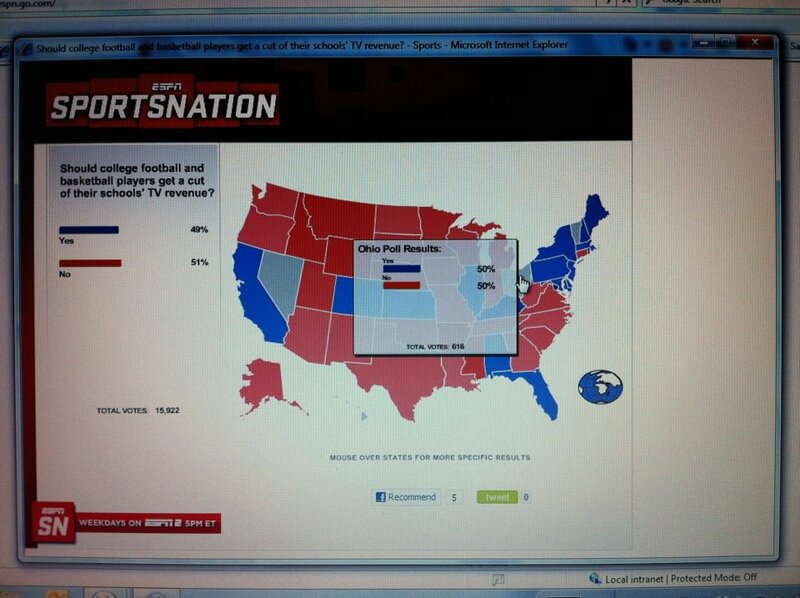 Growing up, I heard all the Notre Dame jokes about their teams playing in a "cereal bowl", but their fan base is loyal. 2. While an athlete might be incredibly talented, the focus of amateur athletics should be education. If these individuals want to be paid as professionals then they need to take it up with the National Football Players Association (NFLPA) and the National Basketball Players Association (NBPA) regarding age restrictions etc. **** I'm not going to research the particularities in this matter, but I've argued with former players about this matter in the past, and I think age restrictions are lame. Caveat emptor (i.e. let the buyer be ware). If a team is willing to risk its money on a very young prospect, it should be its right. 3. I don't want to hear about how the athletes need the money. More or less everyone in college and even adulthood will argue that they "need the money". That argument doesn't hold any water. For boxing fans out there in the DC area, I have some good news for you. 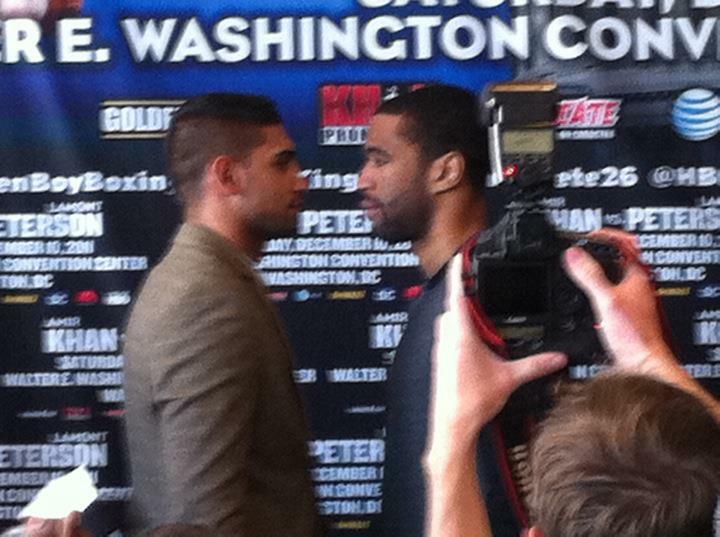 Yesterday's press conference between Amir Kahn (26-1) and Lamont Peterson (29-1-1) was a sight to see (i.e. standing room only for fans and late arrivers) in the DC area. 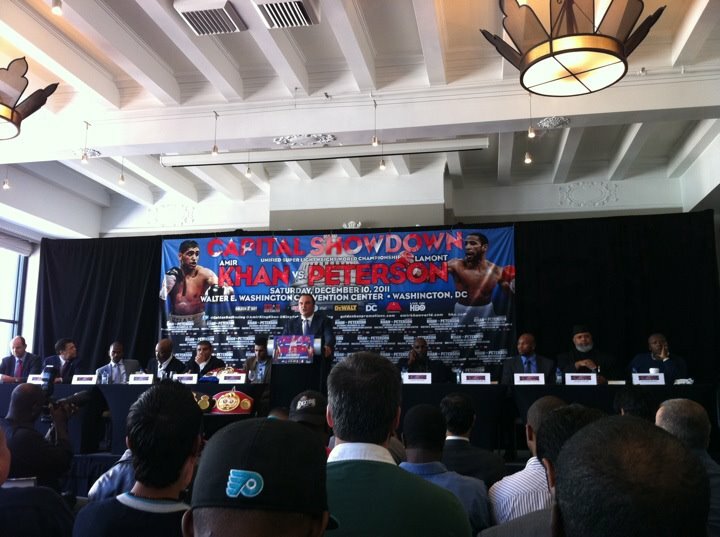 Representatives from Golden Boy, HBO Boxing, Events DC, and both players' camps spoke at the event. Seeing as that Peterson is from DC, he definitely had hometown advantage... Further, since the fight is being held in DC against Khan, who is currently the unified WBA Super and IBF Light Welterweight Champion, a joke was made that it was "gangster" of Khan to come to DC to fight Peterson in his own house. 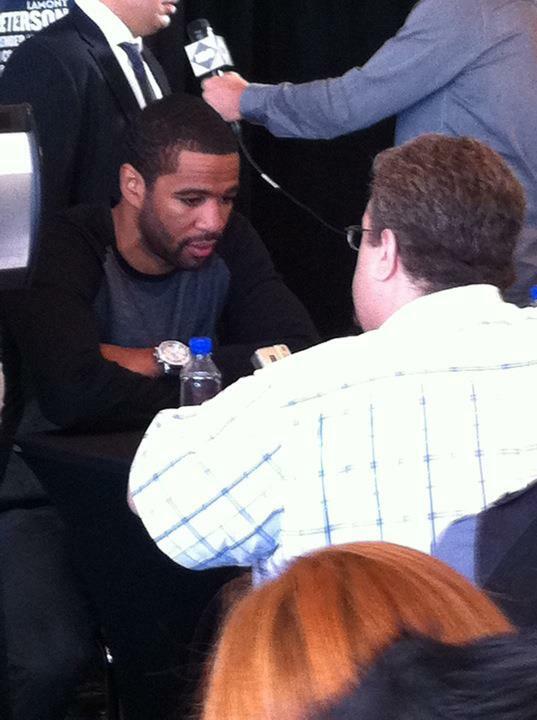 It was a packed house at the W Hotel, as media and fans came out to watch the press conference. The Capital Showdown will occur at the DC Convention Center on December 10, 2011. It's the first time in 18 years that HBO has come to DC showcase boxing. 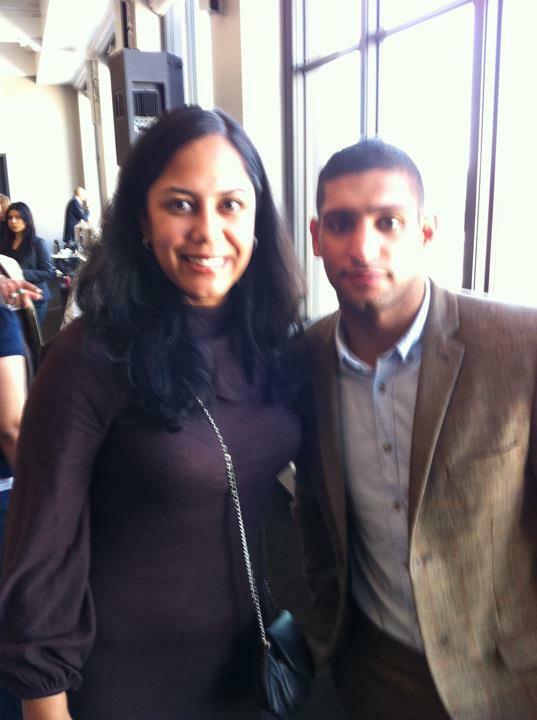 I will admit right now that I'll take Khan in this fight. He's trained by Freddie Roach and Alex Ariza. Both Freddie and Alex are in the Philippines (i.e. or on their way back from the Philippines), where they were training Manny Pacquiao, so they weren't in attendance for yesterday's event. 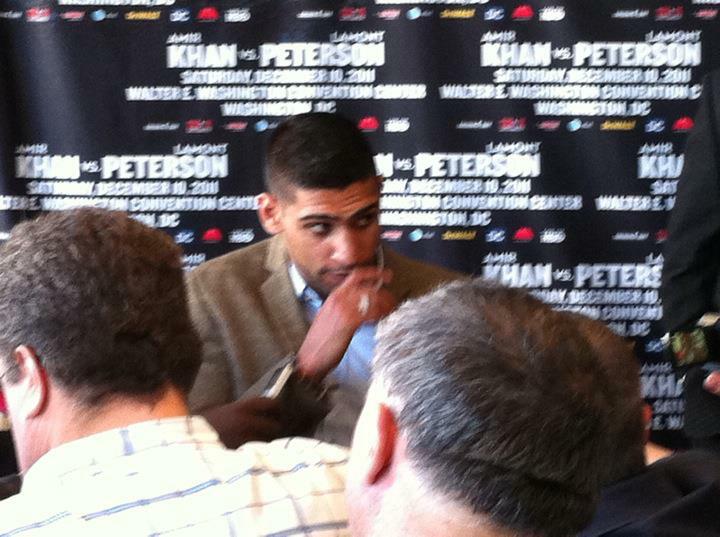 Fans of Khan and Peterson should follow them on Twitter since both more or less invited their fans to come on out and support them at the presser. Approximately 12,000 tickets will be sold for the Capital Showdown. In consideration to the fans, it's expected that the the lowest price point is expected to be $25 for the event. For you heavyweight fans out there Seth Mitchell (23-0-1), from Maryland will also fight on the undercard. I'm not originally from the DC/VA/MD area, but I've been in the area long enough to consider it "home". 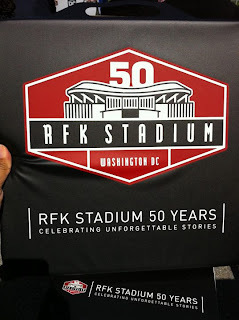 Yesterday, I attended a press conference to kick off the RFK Stadium 50th Anniversary Celebration. Some notables in attendance, were Vincent Gray (i.e. the Mayor of DC), Kevin Payne (i.e. President and CEO of DC United), Charles Mann (i.e. former Washington Redskin), Gregory McCarthy (i.e. Vice President of the Washington Nationals), and Norm Everson (i.e. former player for George Washington University). If you're like me, you'd never heard of Norm either, but if you were at the event, I assure you that you'd never forget him. Greg O'Dell, President and CEO, of Events DC kicked of the event and various government and team officials spoke about their own RFK memories. Everything from football games, to baseball coming back to DC, to boxing, to musical performances have taken place at a building that was described as having "soul". The "I Remember" campaign is personal and definitely had people more than willing to recall their own experiences at the venue. Norm's story was the last one and had people talking (i.e. if you want the details, "google" it)! 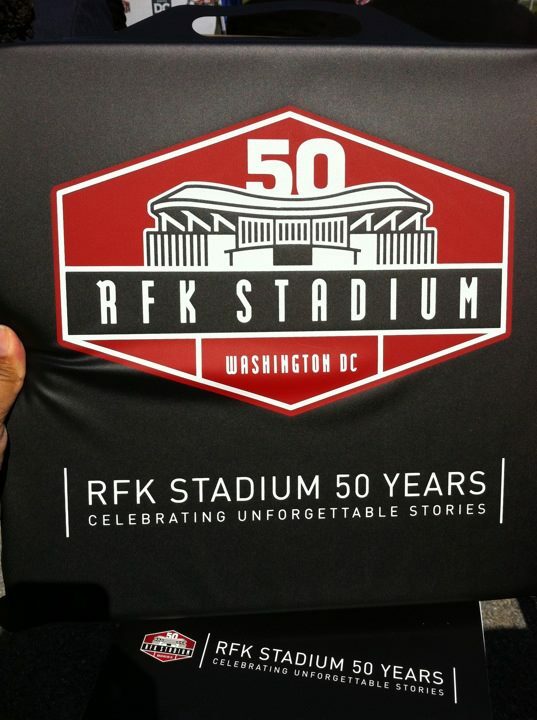 Well, RFK Stadium, I look forward to creating more memories with you. Through the "I Remember" campaign, fans can vote for the RFK All-Stadium Team. This "team" will be 50 of the greatest athletes and entertainers in stadium history. Fans can also share pictures and memories with each other. The URLs are: http://www.rfkstadium50.com/ or http://www.facebook.com/RFKStadium.